Samsung planning major Windows Phone return with 5-inch flagship? It wasn't so long ago (literally yesterday) that a Samsung phone that may be the Galaxy S5 leaked, and now a new Samsung Windows Phone handset may have followed suit. 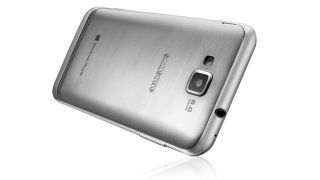 A listing for an unnamed and unknown smartphone has appeared on the Indian site Zauba.com. The model number, SM-W750V, suggests that it's a Windows Phone, and the listing states it has a 5-inch display. Based on the price per unit listed on the site (33,245 rupee), the possible new Samsung Windows Phone handset will cost around £330. The listing for the new phone describes two shipments, one with 25 units and the other with two. The site says the phones were sent for the purposes of testing, evaluation and R&D. At that price this seems likely to be a high-end device comparable to Samsung's other handsets, though we can't say for sure. Samsung hasn't announced any new Windows Phone smartphones, but that doesn't mean there aren't any in the works. We've asked the company whether it has anything to share, and we'll update here if we hear back. The company has become more well known for its popular Android phones like the Galaxy S4 and Galaxy Note 2, but it has Windows Phone devices like the Ativ S under its belt as well. And given the Korean company's efforts with the open source OS Tizen, it's clear that it doesn't want to get bogged down doing just Android phones forever. Samsung has so far put Tizen in a camera and a refrigerator, and announced plans for Tizen-powered TVs. But Tizen phones aren't expected to begin arriving until 2014. Don't miss TechRadar's holiday gift guide, full of tech and games galore!